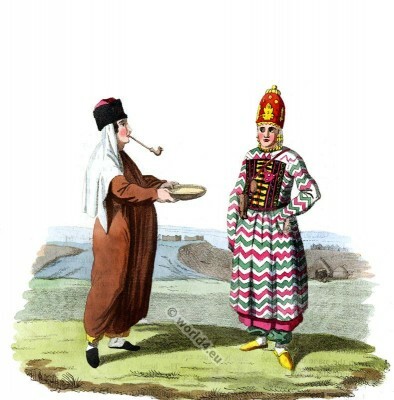 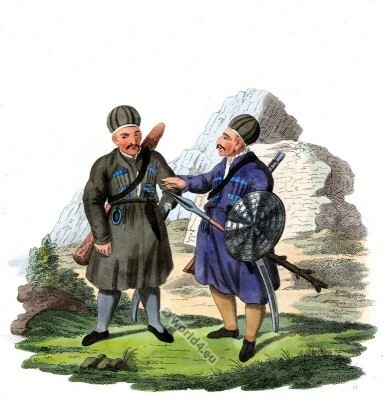 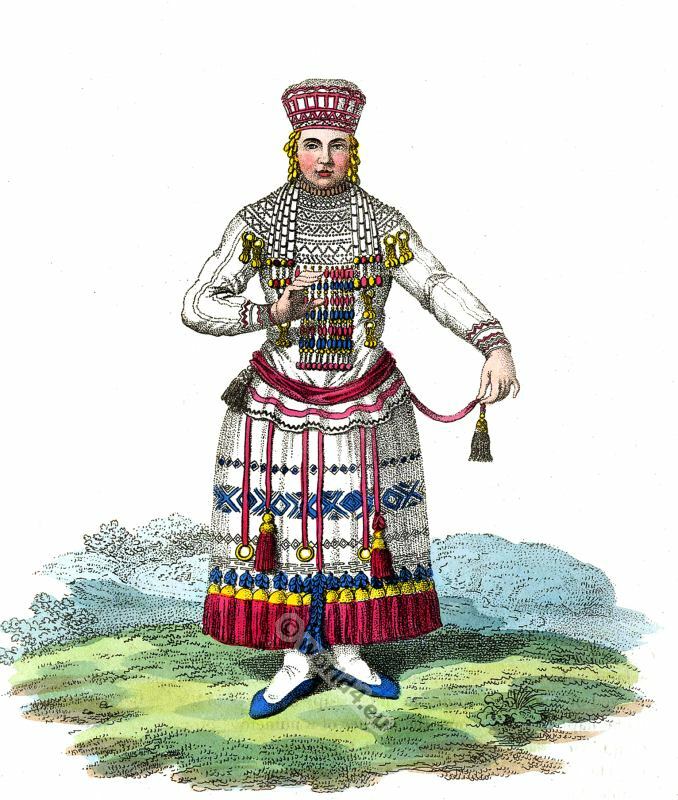 The costume of the Russian empire. 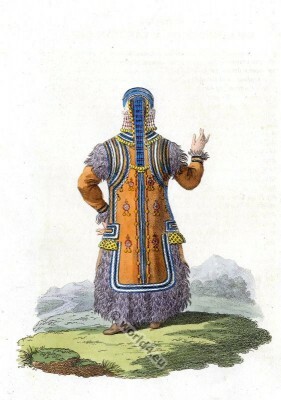 Description of the costume plates. 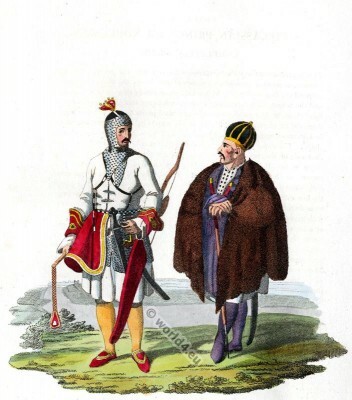 Costume of the Russian empire by Edward Harding March 28th, 1803. DEDICATED, BY PERMISSION, TO HER ROYAL HIGHNESS THE PRINCESS ELIZABETH. 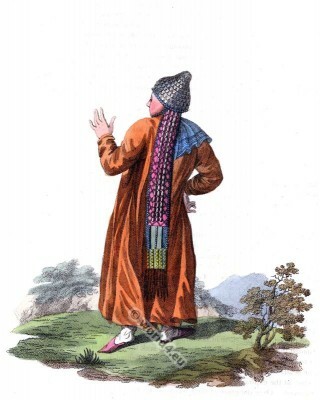 LONDON: PRINTED BY T. BENSLET, BOLT COURT, FLEET STREET; FOR JOHN STOCKDALE, PICCADILLY 1811. 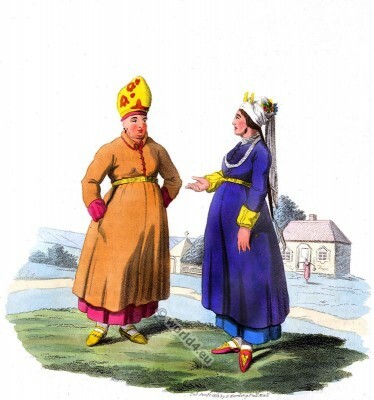 The Wife of a Cossac of the Don, and a Girl of Tscherkask. 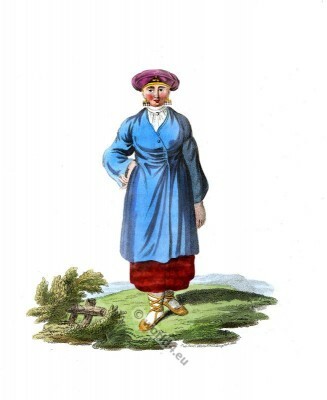 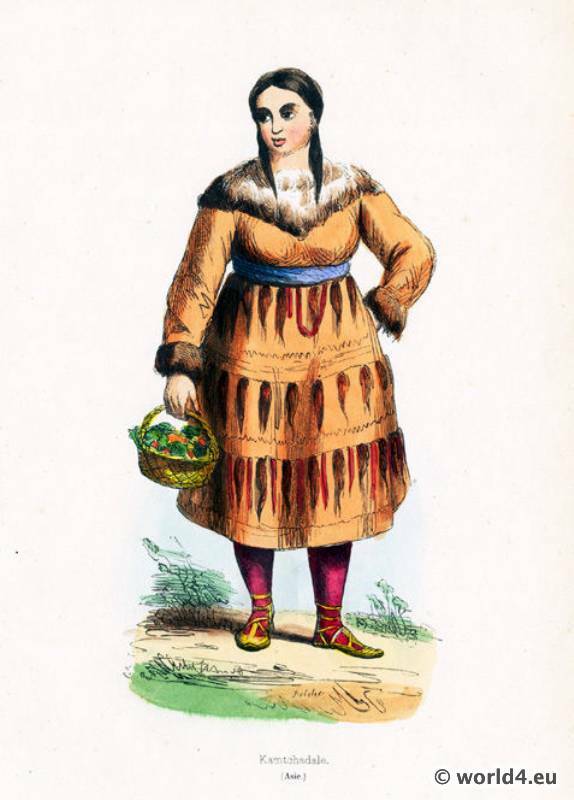 A Woman of Finland in her Holiday Dress. 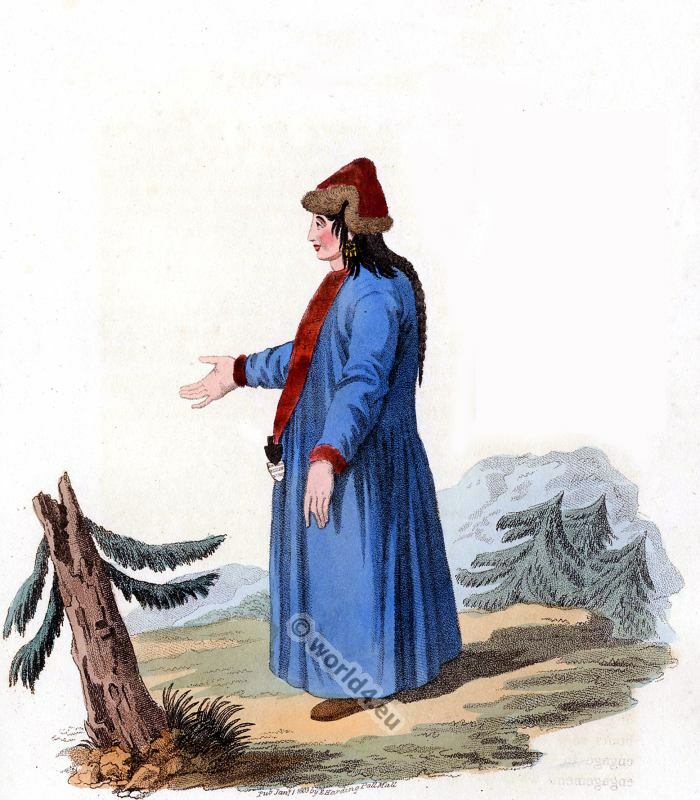 Back Figure of a Woman of Finland in her Holiday Dress. 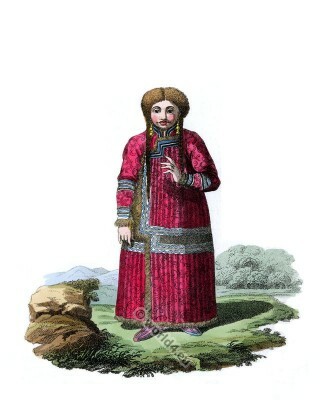 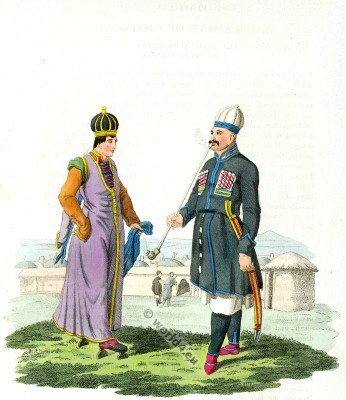 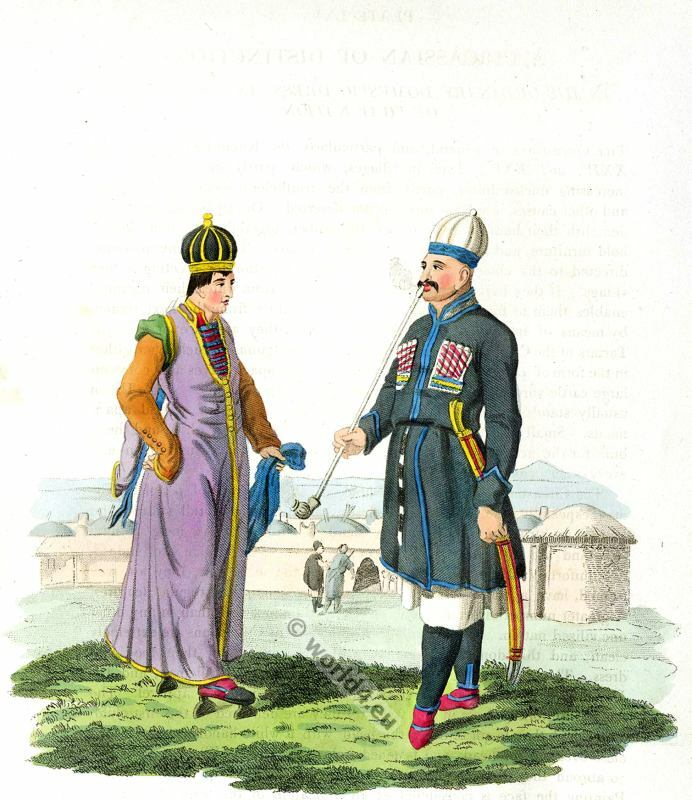 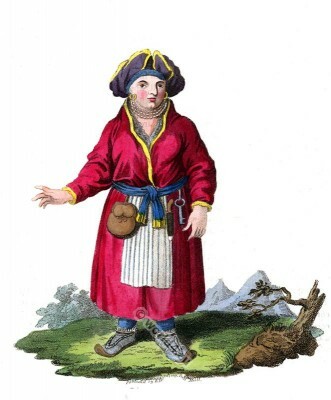 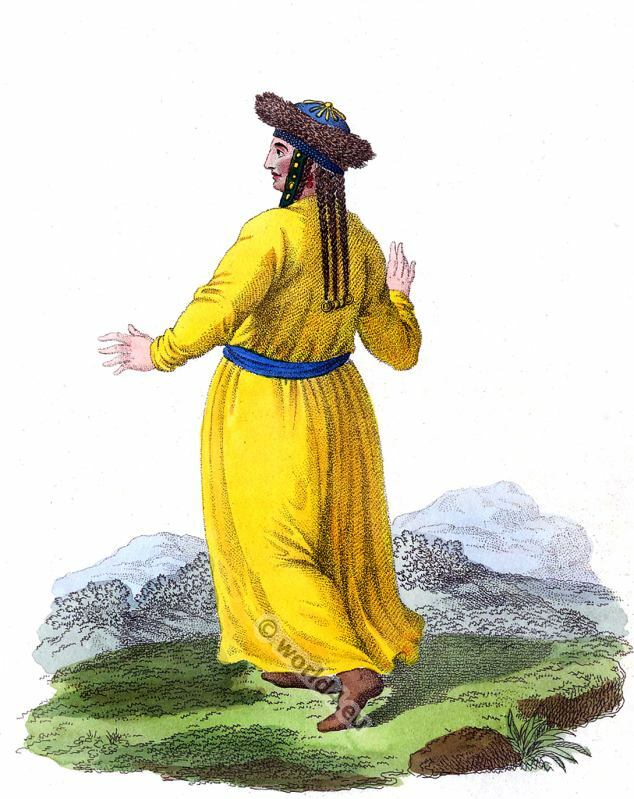 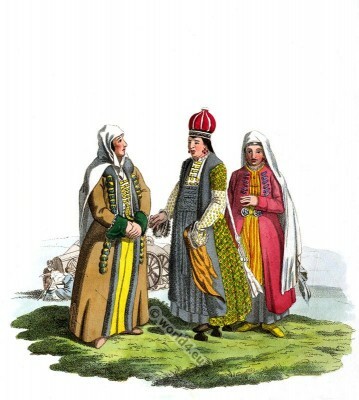 A Female Kabardian of Mount Caucasus. A Kalmuc Housewife and Girl. 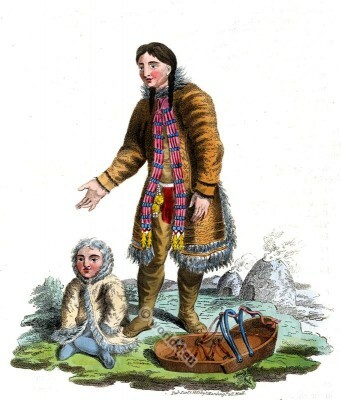 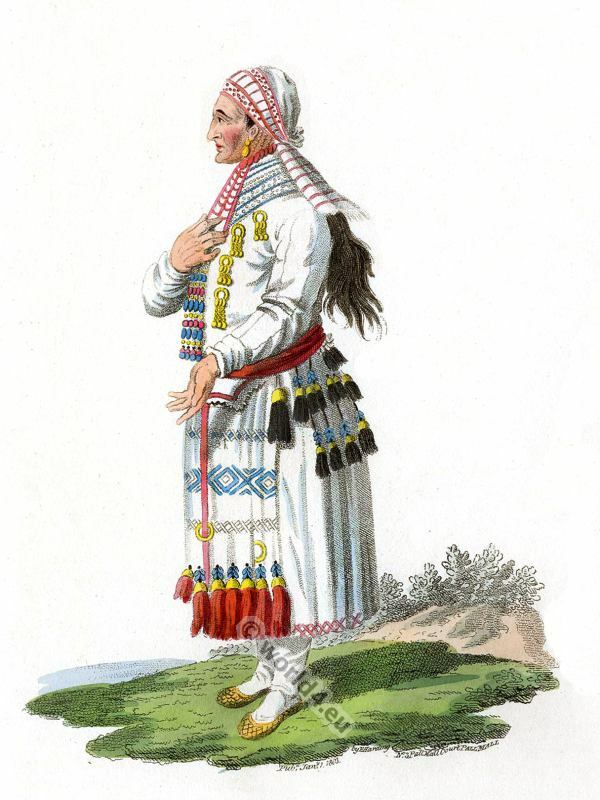 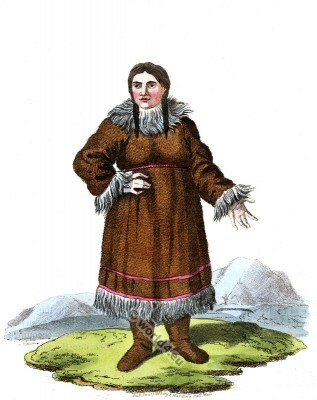 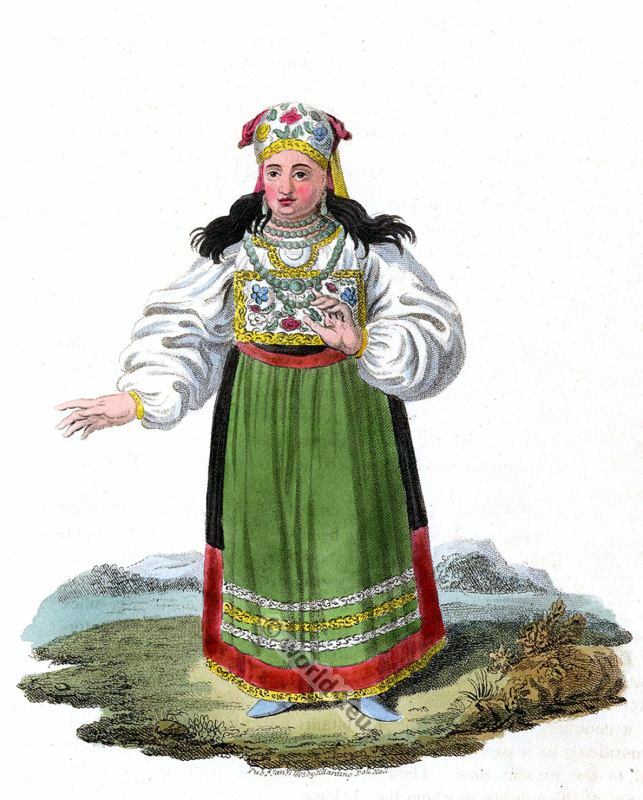 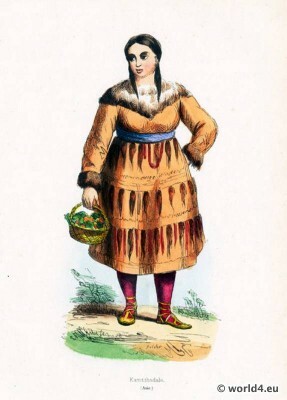 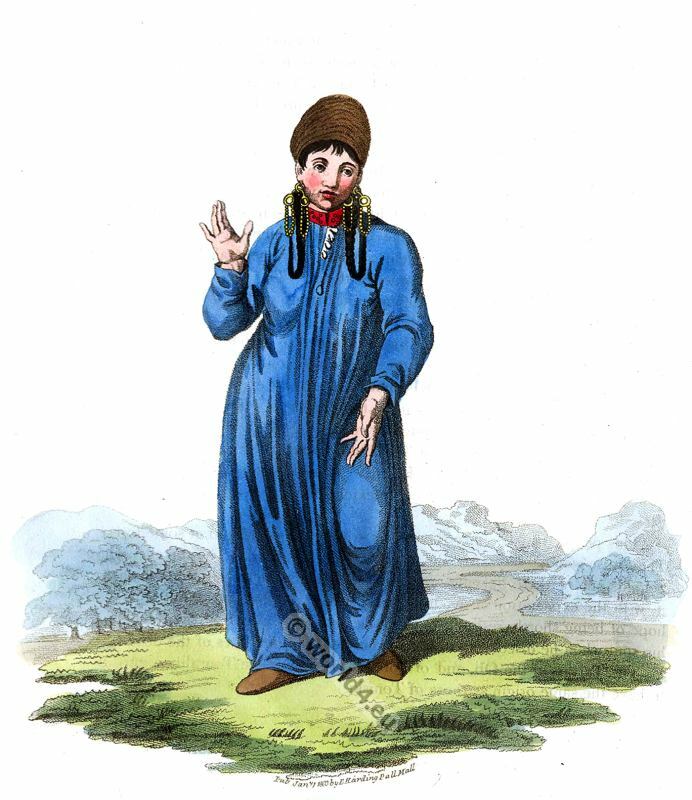 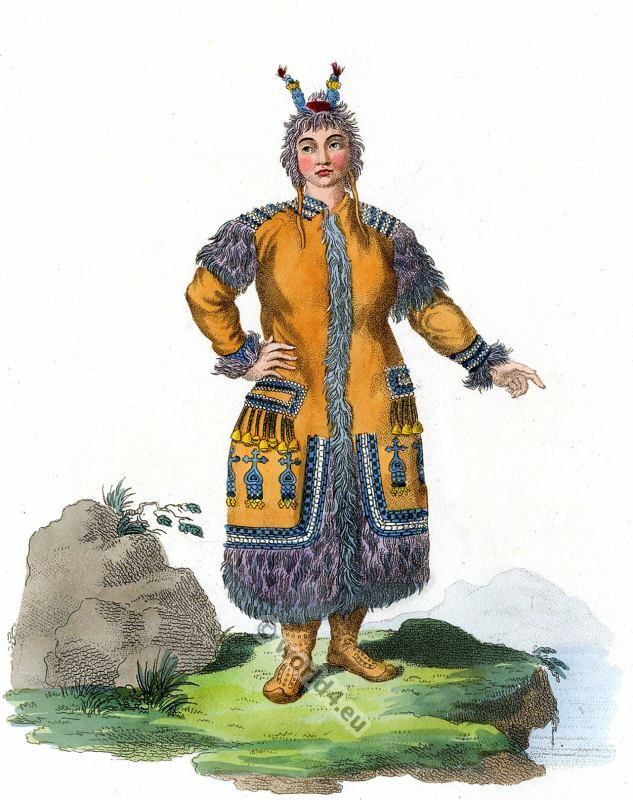 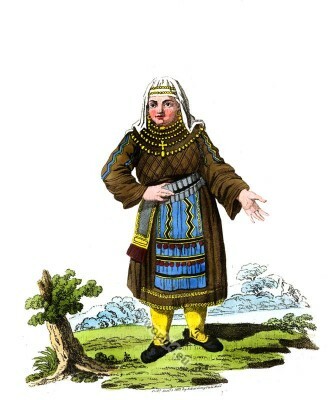 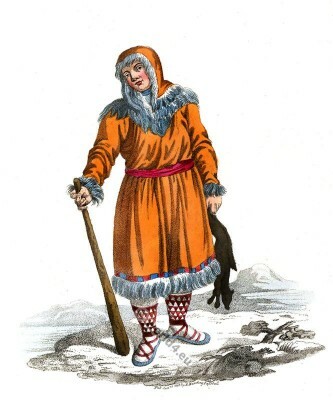 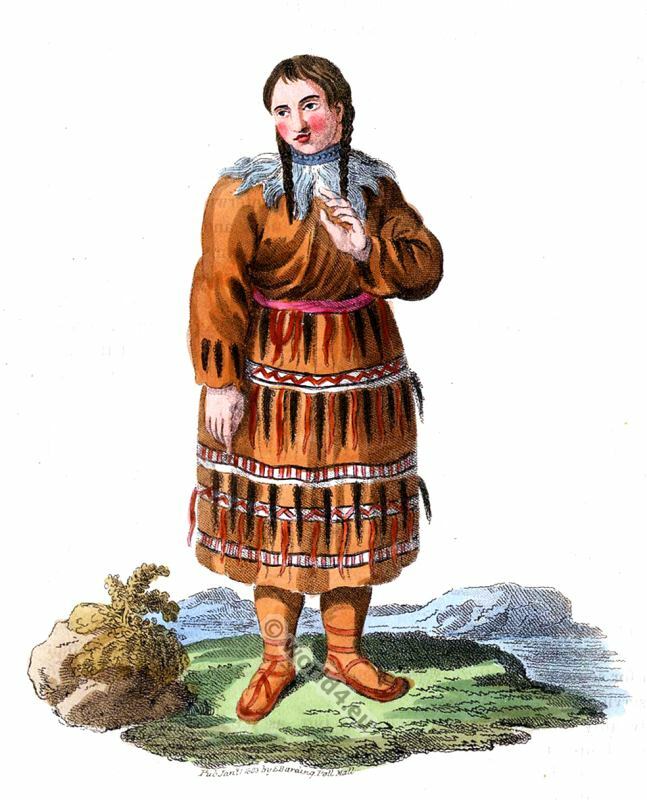 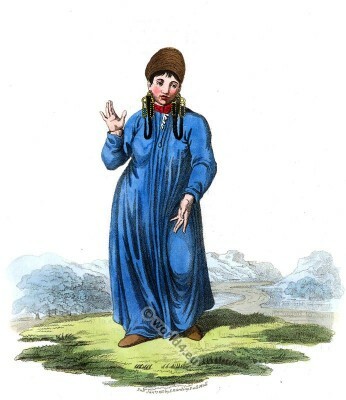 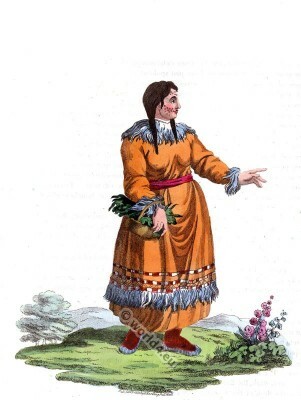 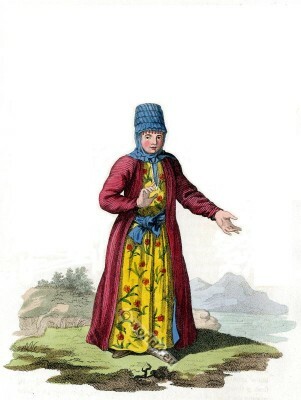 A Woman of Kamtschatka in her Holiday Dress. 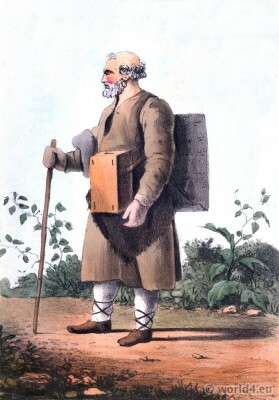 A Kamtschadale in his ordinary Dress. 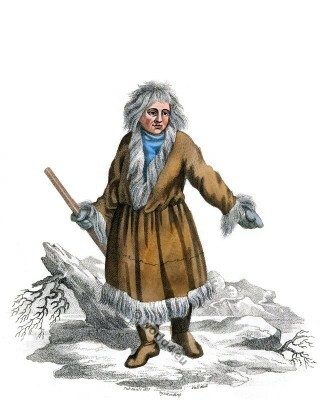 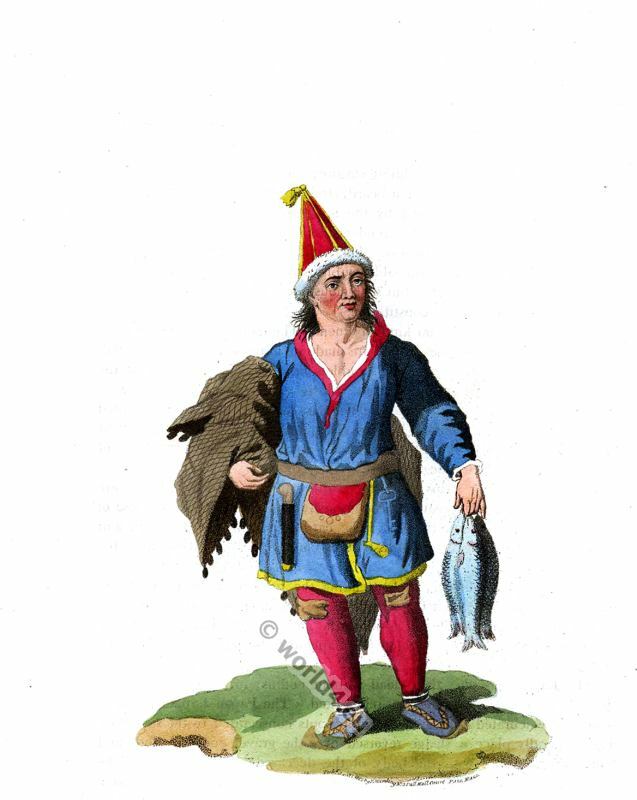 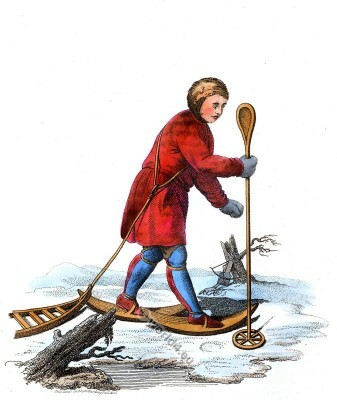 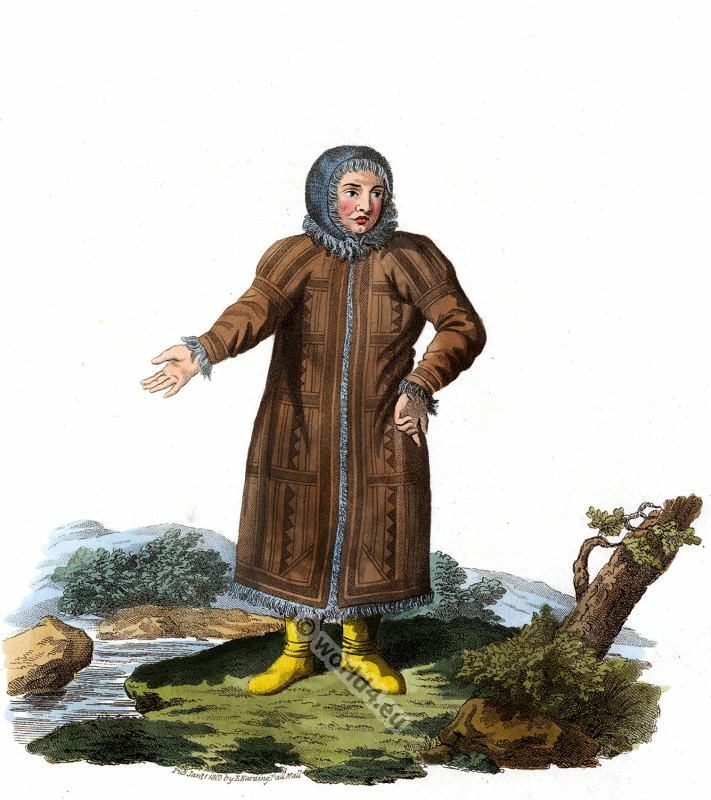 A Kamtschadale in his Winter Dress. 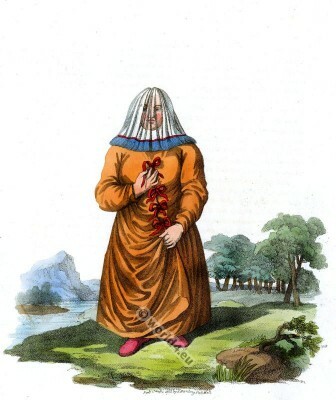 A Female Schaman, or Sorceress of Krasnajarsk. Mordvin Woman of the Mokchanian Tribe. 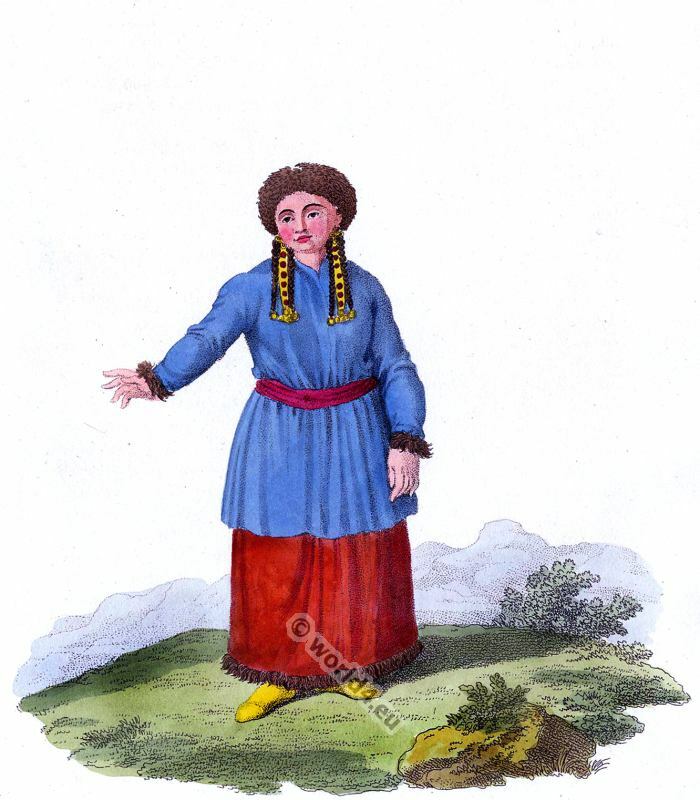 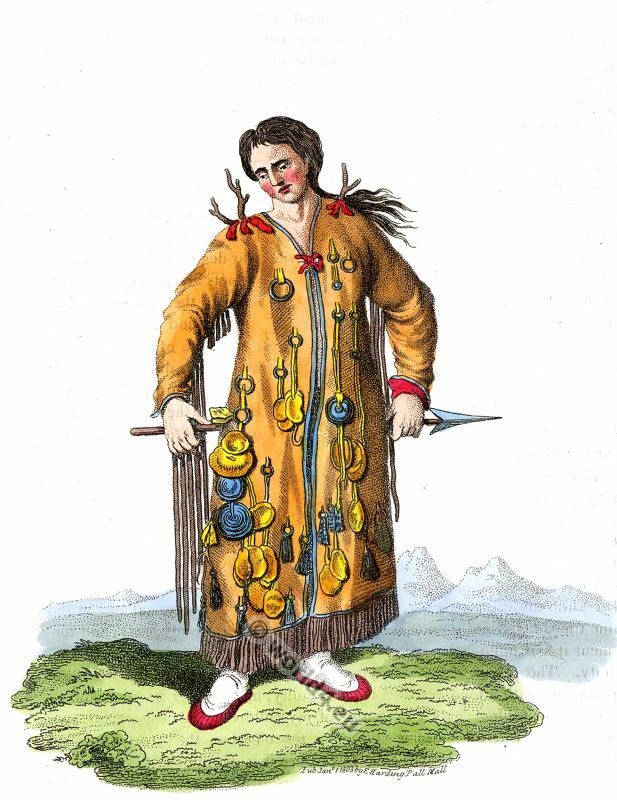 A Mordvin Woman of the Mokchanian Tribe. A Man and Woman of Oonalaschka, one of the Aleutian Islands. An Ostiak of the Ob. Back Figure of a Tongusian Priest, in the Vicinity of the Argoun. 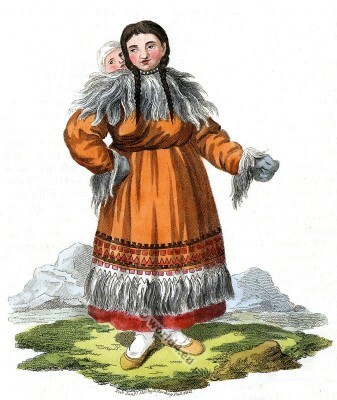 A Female Samoyede in her Summer Dress. 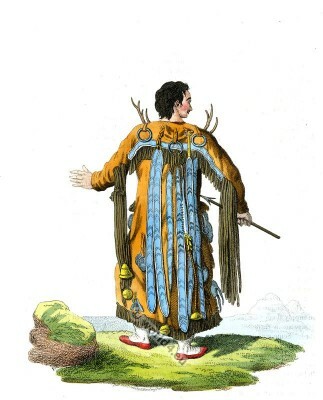 Back Figure of a Female Schaman, or Sorceress of Krasnajarsk. 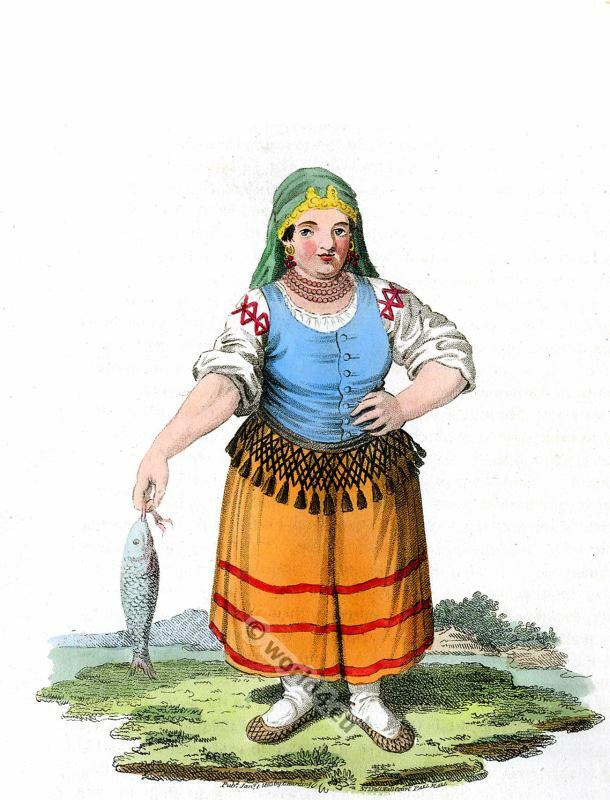 A Nogais Tartar Lady of distinction. In the centre of the group a Princess of that Nation, attended by a Female Slave. 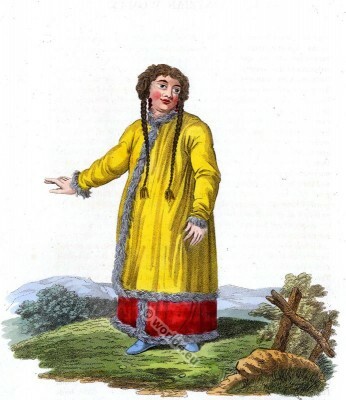 A Tartar Girl of Kousnetzk. 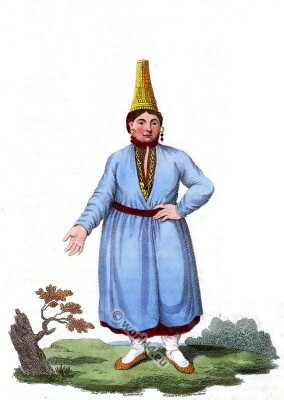 Back Figure of a Female Tartar of Kazan. A Female of the Nogais Tribe of Tartars. 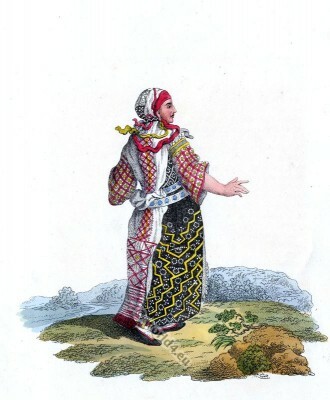 A Tartar Woman of Kousnetzk. A Female Tartar of Tomski. 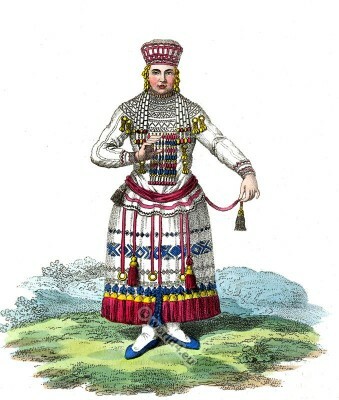 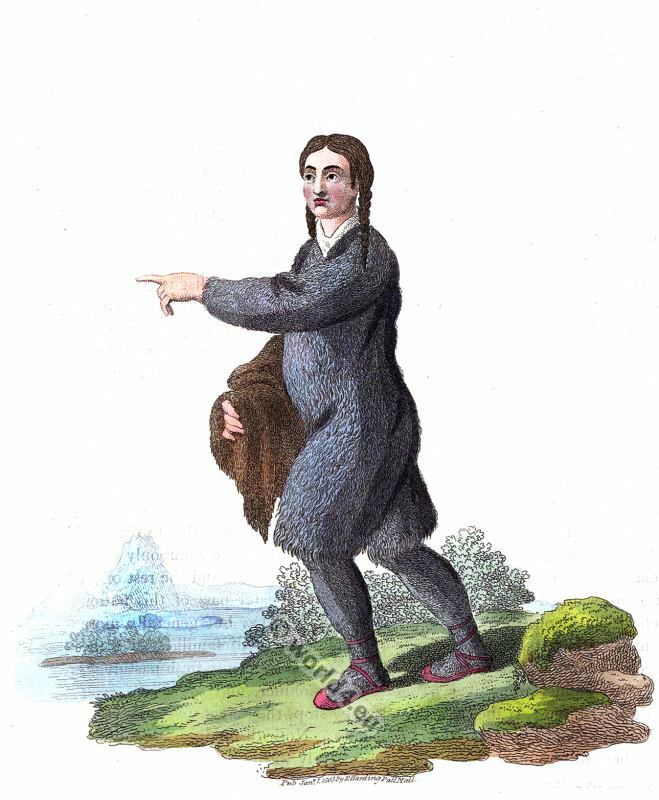 A Tongusian in his ordinary Dress. 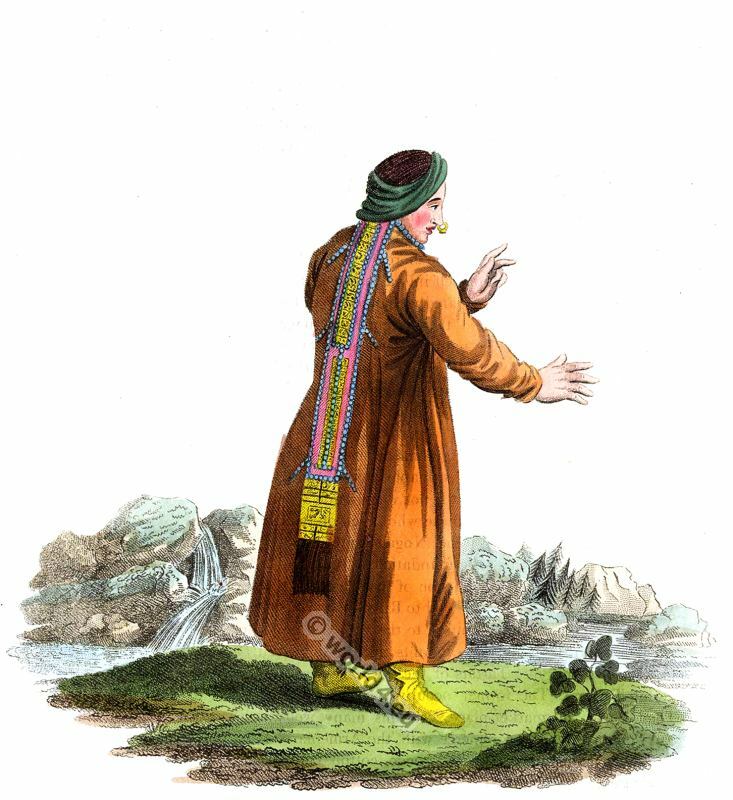 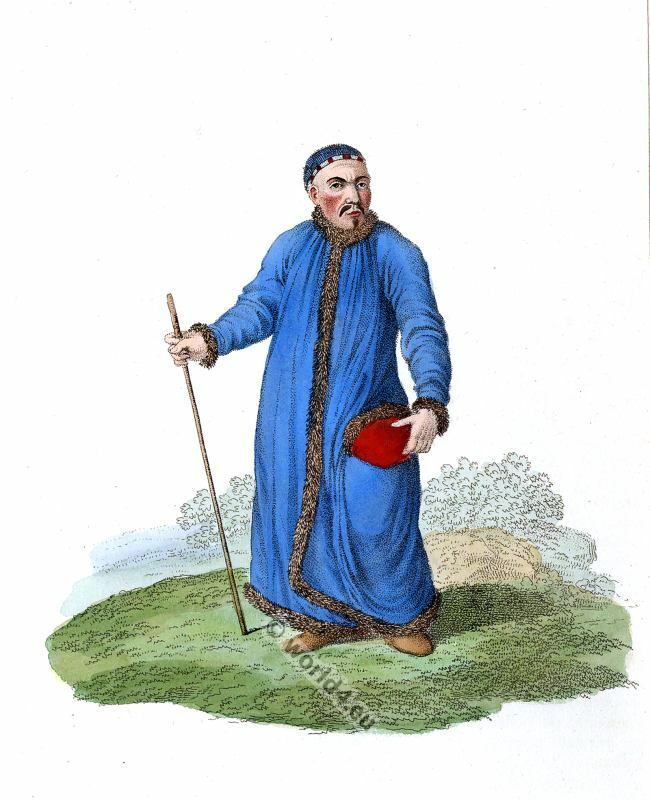 A Tongusian Priest, in the Vicinity of the Argoun. 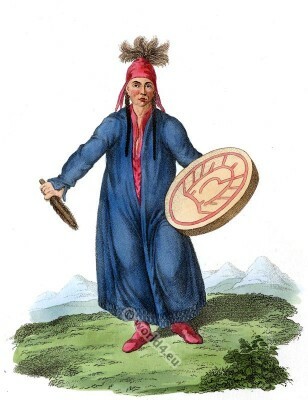 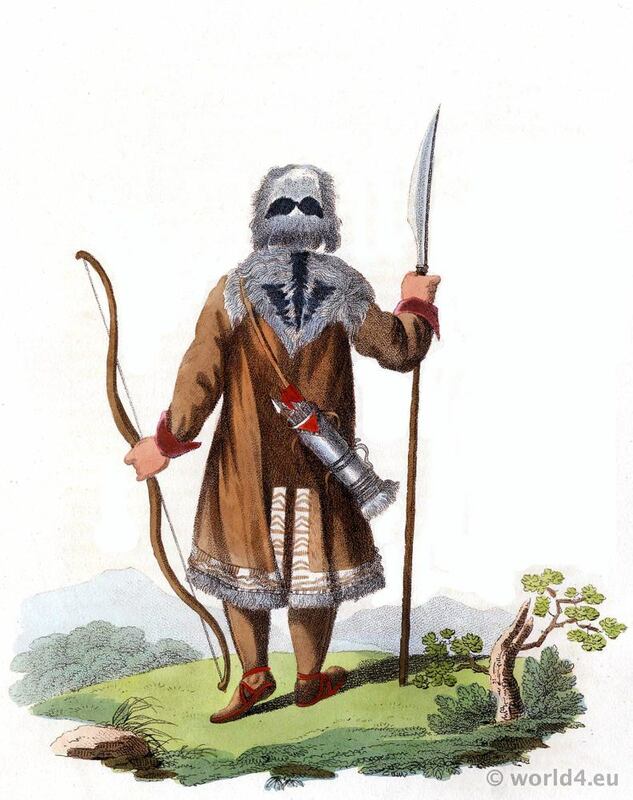 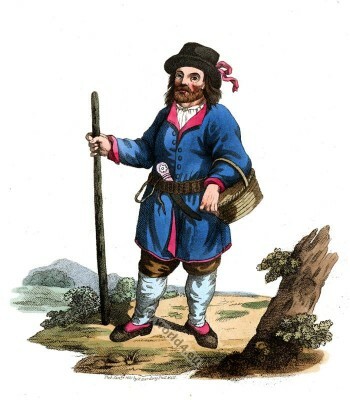 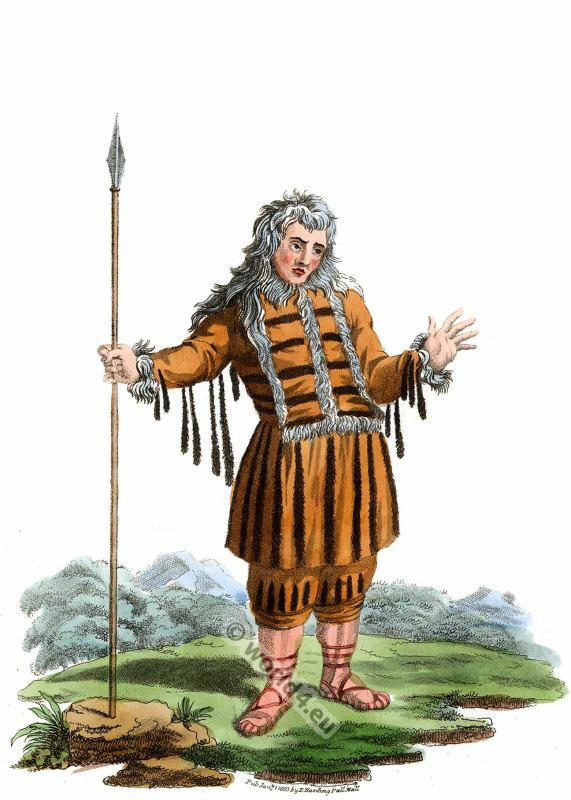 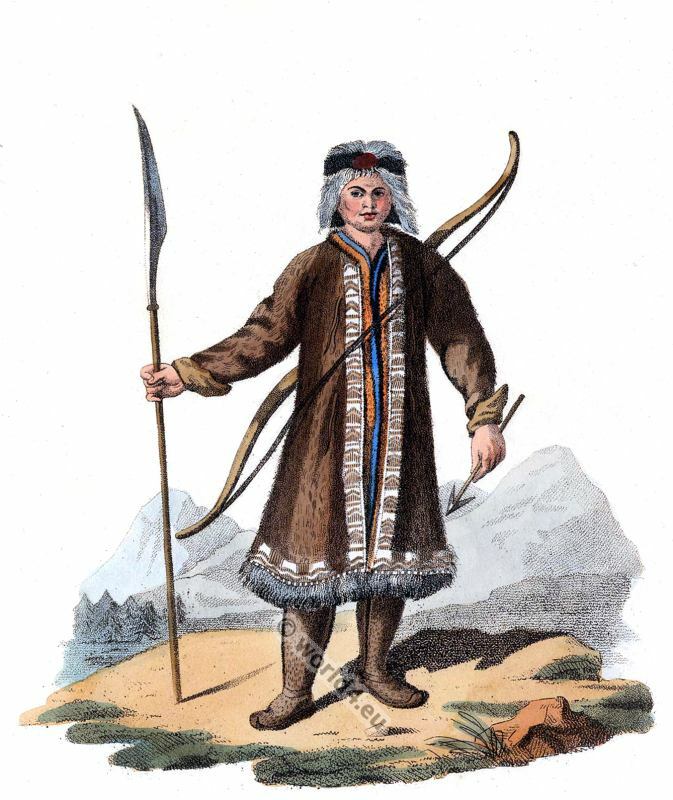 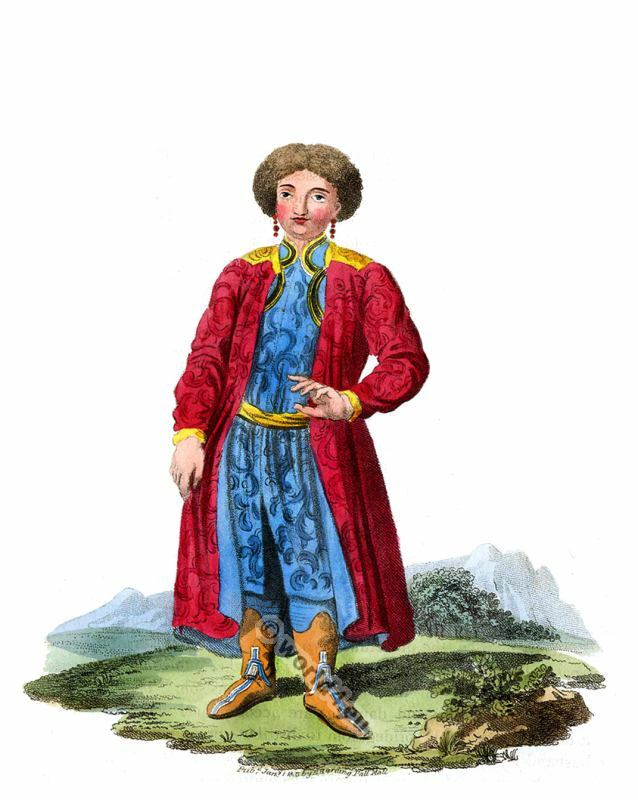 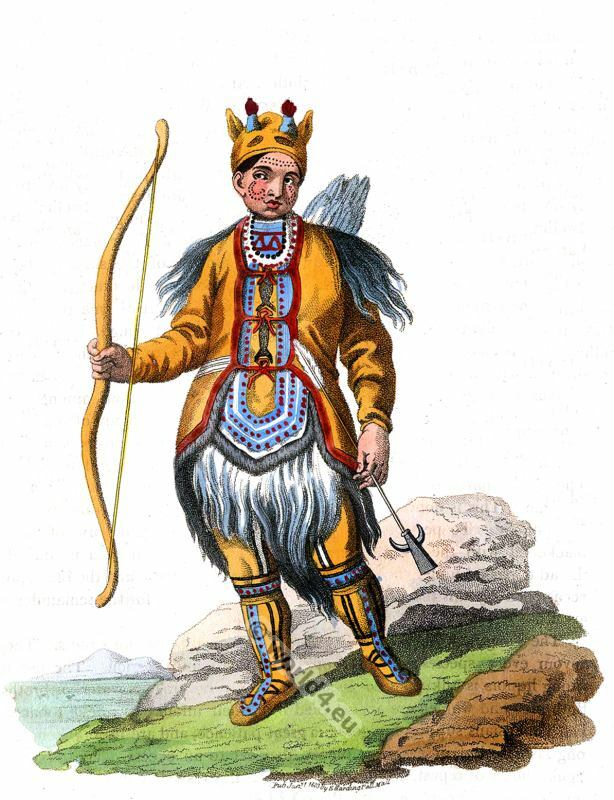 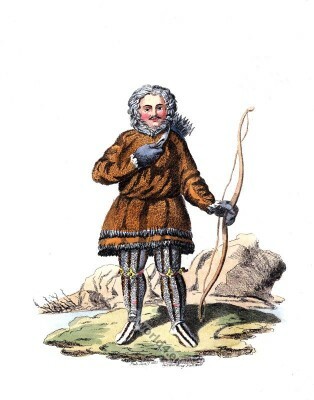 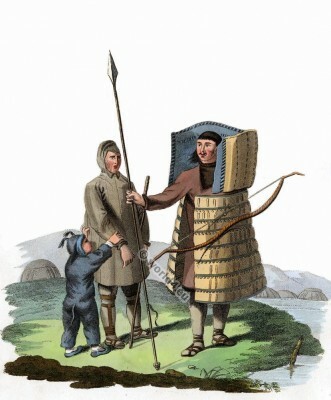 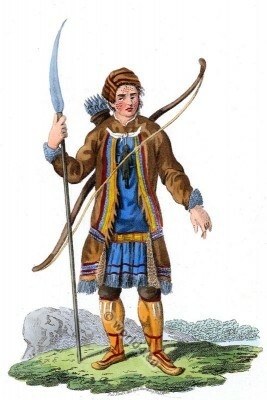 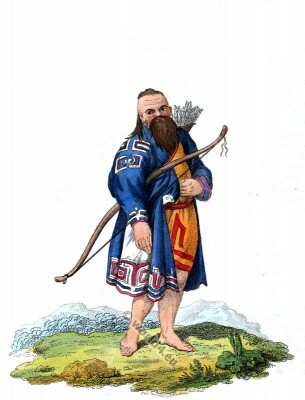 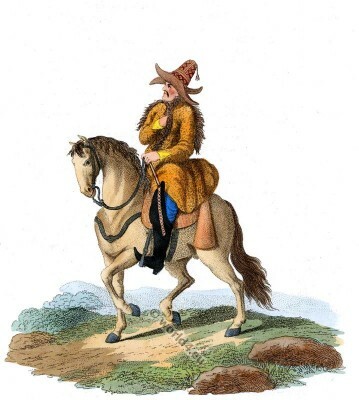 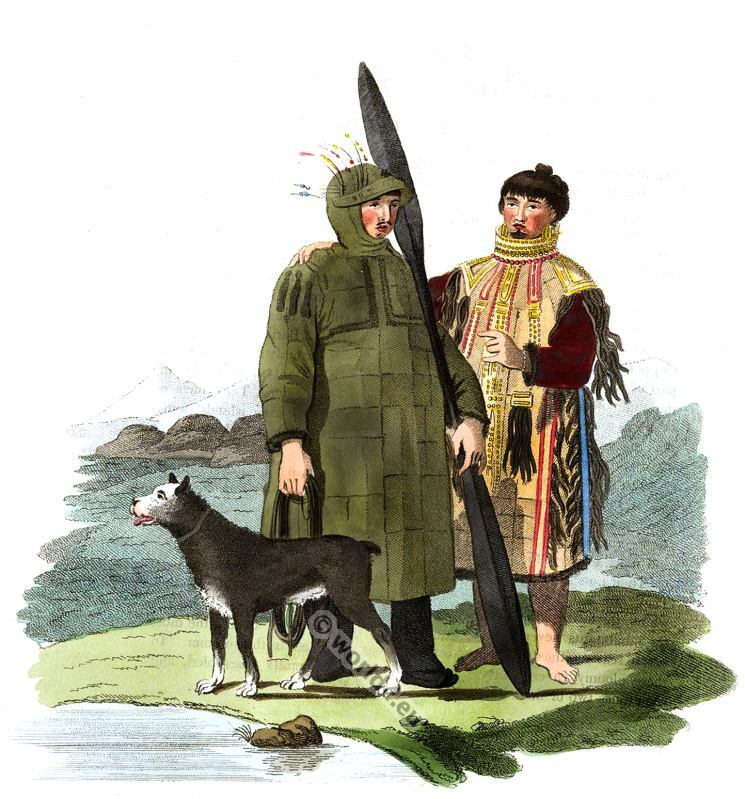 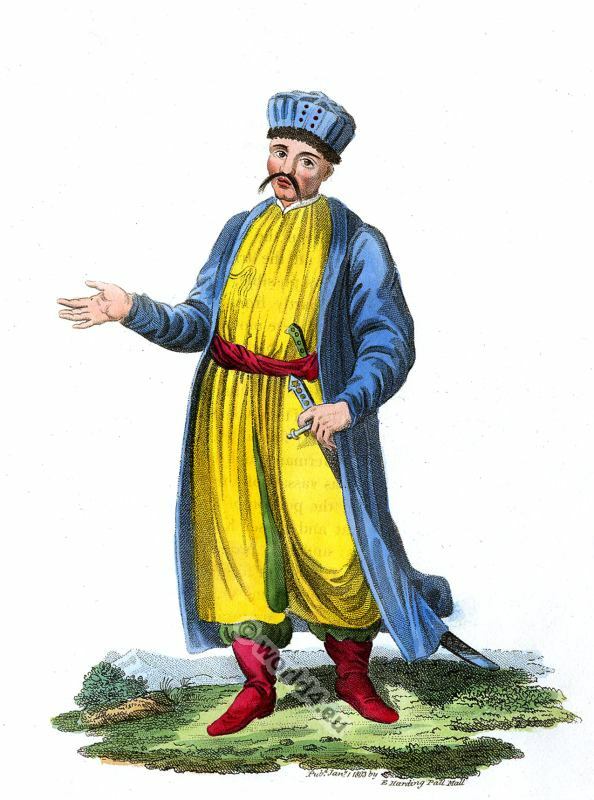 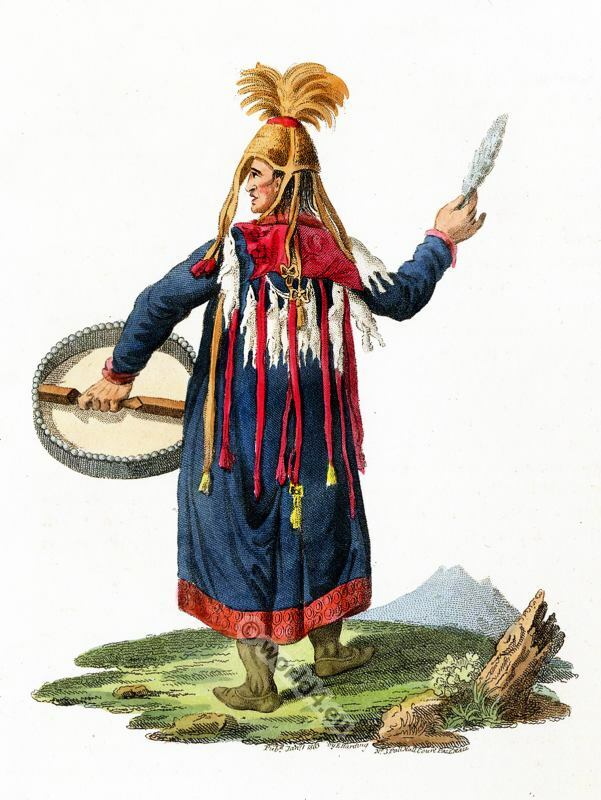 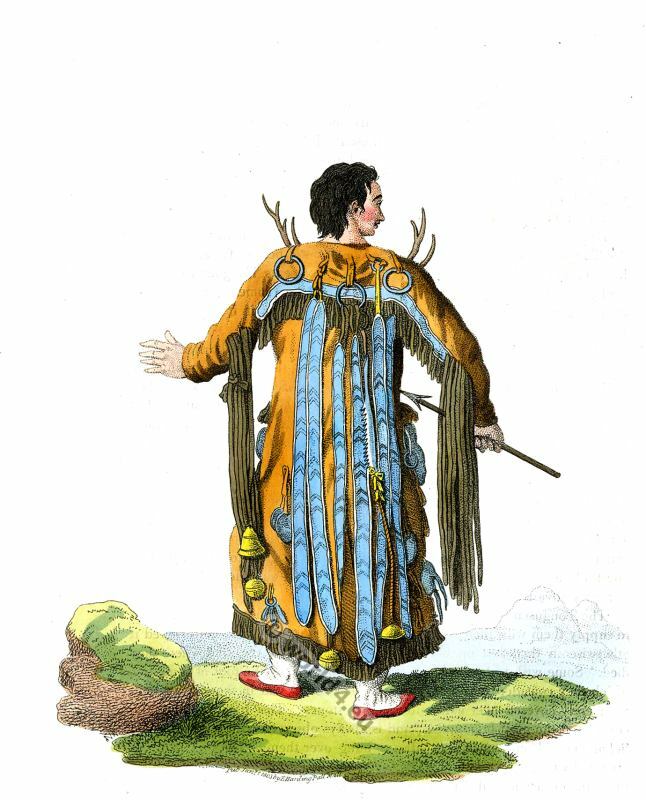 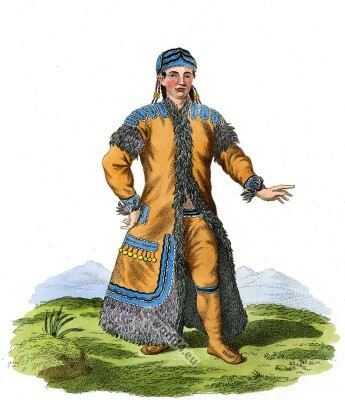 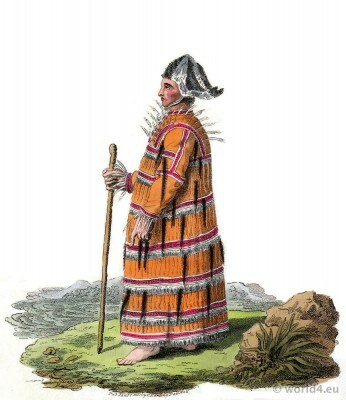 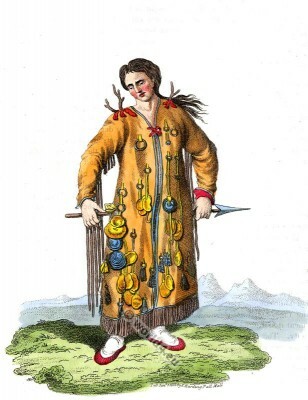 A Tongusian in his Hunting Dress. 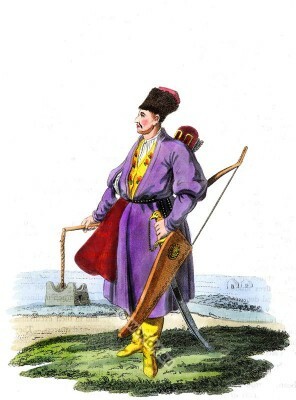 A Turcoman, with his Bow. 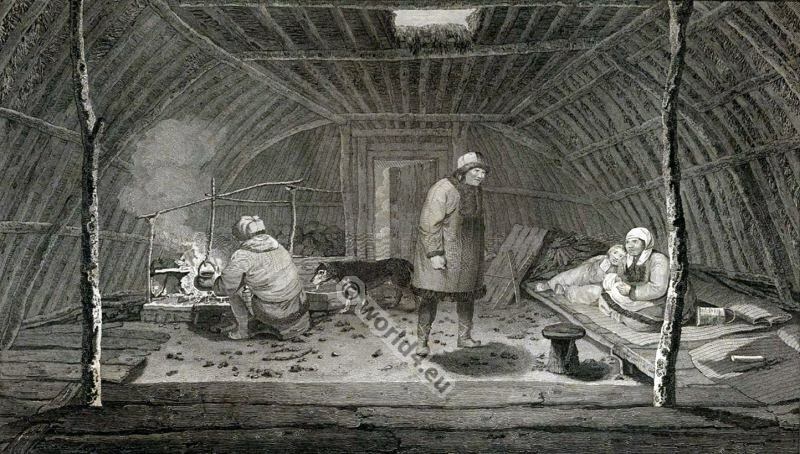 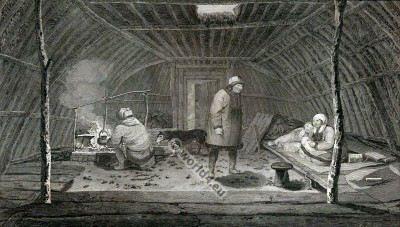 The Inside of A Winter Habitation in Kamtschatka. 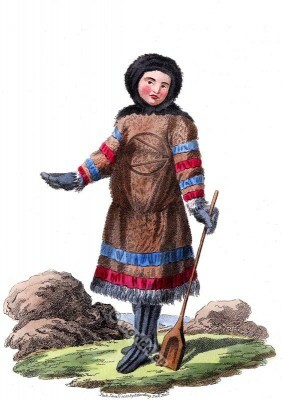 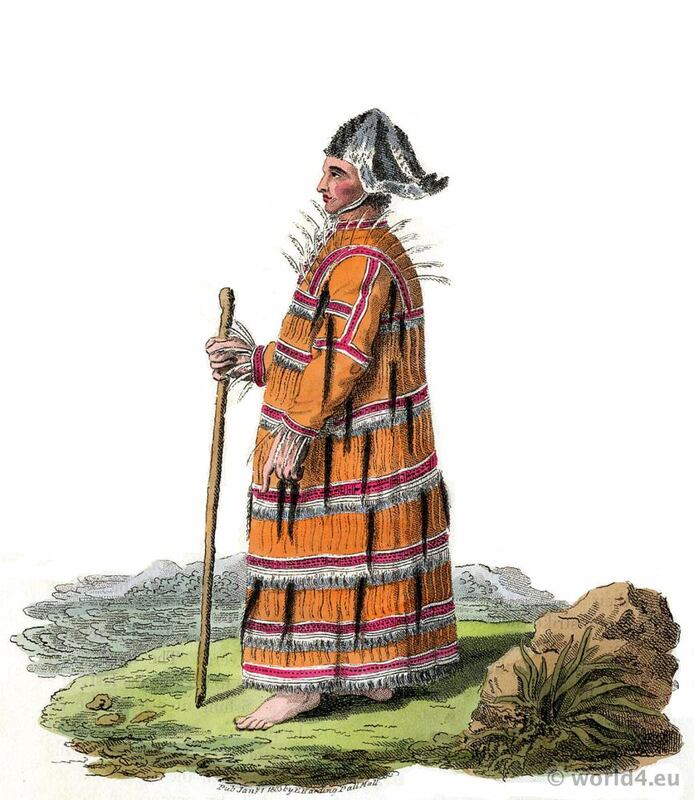 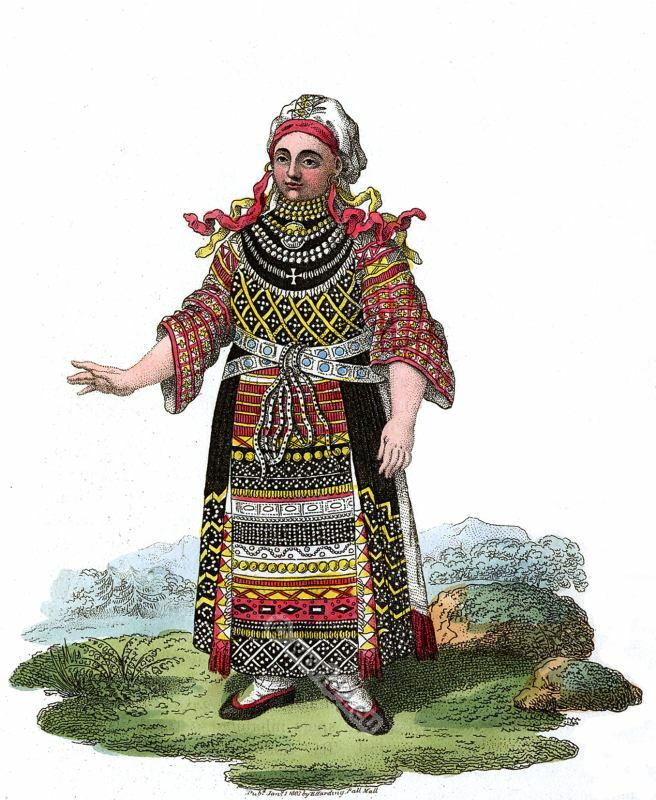 An Aleutian in his Winter Dress. 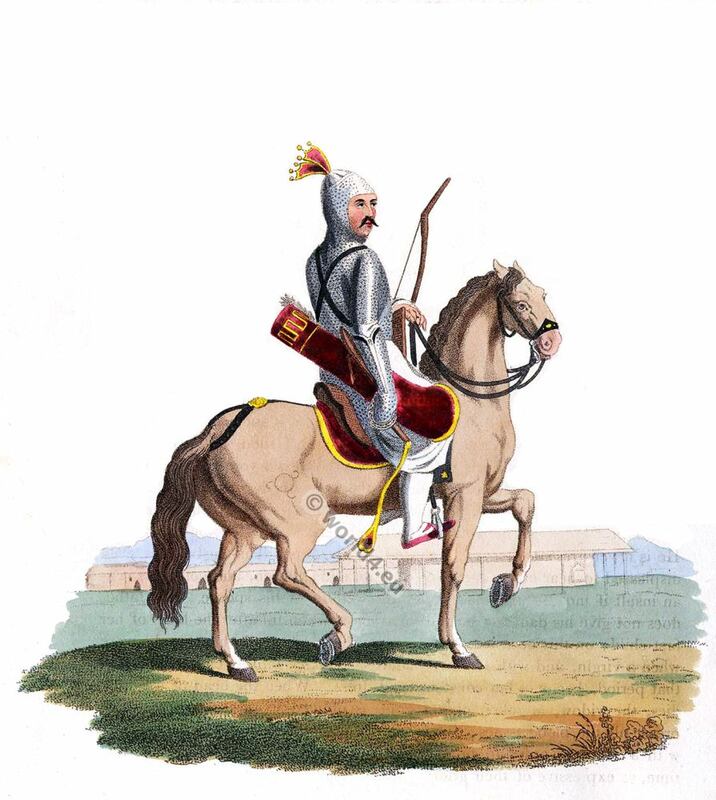 A Circassian on Horseback in complete Armour.